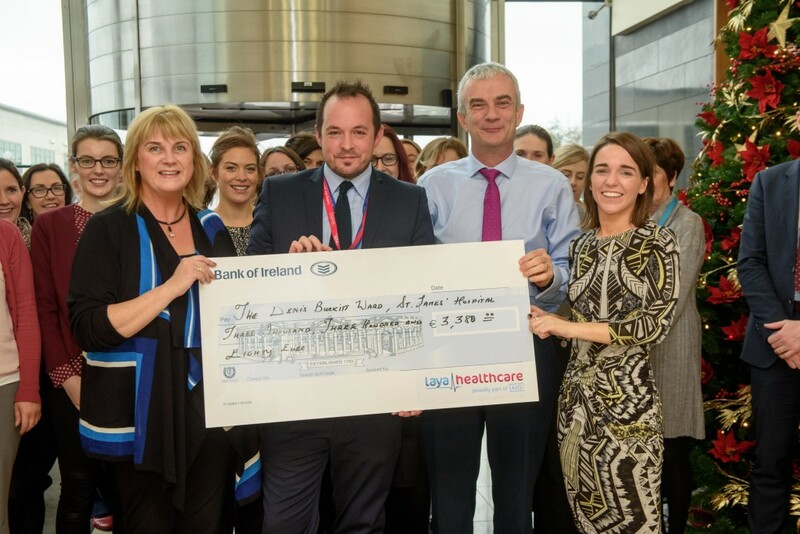 Many thanks to the Laya healthcare team members in Cork who presented us with a cheque recently for €3,380 for the Denis Burkitt Ward here at St James’s Hospital. The team raised money for three causes through a dedicated Charity Day in October which totalled €5,070. This was fund-matched by the company, bringing the total raised to €10,140. 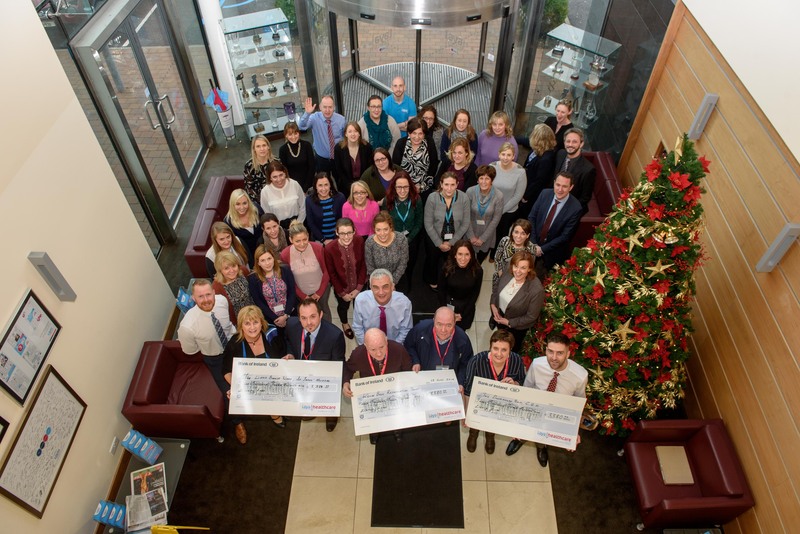 Each charity received a cheque for €3,380. The Dunmanway Suite (chemo unit) in Cork University Hospital; The Denis Burkitt Ward in St James’ Hospital Dublin; and The Kevin Bell Repatriation Trust.